Finally there is a solution for plunging necklines, strapless silhouettes to achieve the perfect décolletage- the Upbra. A secret weapon of Hollywood A-listers who walk the red carpet which gives the look of implants without the invasive surgery, the upbra is the world’s first fully adjustable and customizable cleavage lift up bra giving you control over lift and cleavage that you want while optimizing the look of any outfit. There are two styles of Upbra bras: the convertible bra which offers a multitude of adjustable strap options to suit any outfit. Alternatively, their Miraculous Stay-Up Strapless Upbra bra is a powerful strapless bra that enhances your cleavage without falling down. 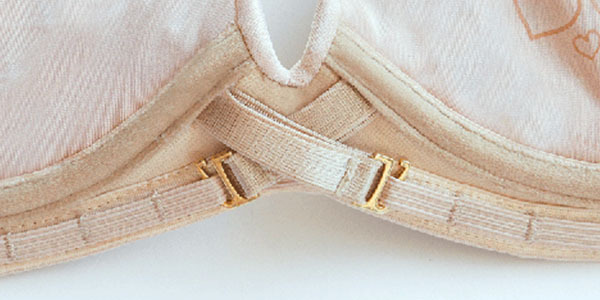 The cleavage control straps are the heart of the Upbra ActiveLift® system and do exactly what they are named for. It controls the lift and cleavage when pulling the straps and locking the hooks into place which moves breasts upwards and towards the center creating cleavage never achieved before. Inside the cups are grippy hearts to ensure that your cleavage will stay up and lifted throughout the day.